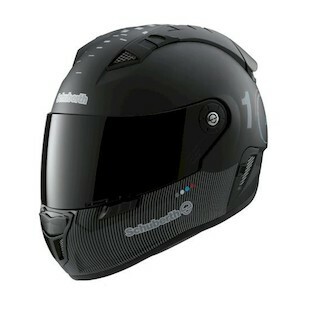 The Schuberth SR1 is a super-sport, race inspired helmet and one of the most technologically advanced lids available. The glass fiber carbon compound is compressed in a vacuum at a pressure of 4.5 bar to form a helmet shell that is exceptionally sturdy. 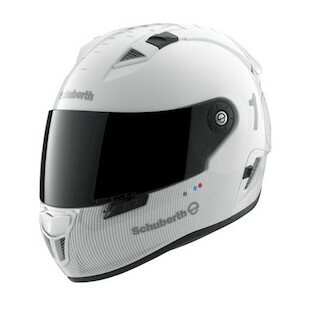 The Schuberth SR1 Technology graphic adds a tech flavor to the already aggressive exterior. The shield removal is innovative and simple. The SR1 pad system is fully removable and washable, anti-allergenic and antibacterial. Double-coated Coolmax on the interior liners makes it skin-friendly, transports moisture and produces effective ventilation. Complex multi-zone foaming allows for optimal shock absorption and, along with its S.T.R.O.N.G. shell construction, makes this helmet both DOT and ECE approved.